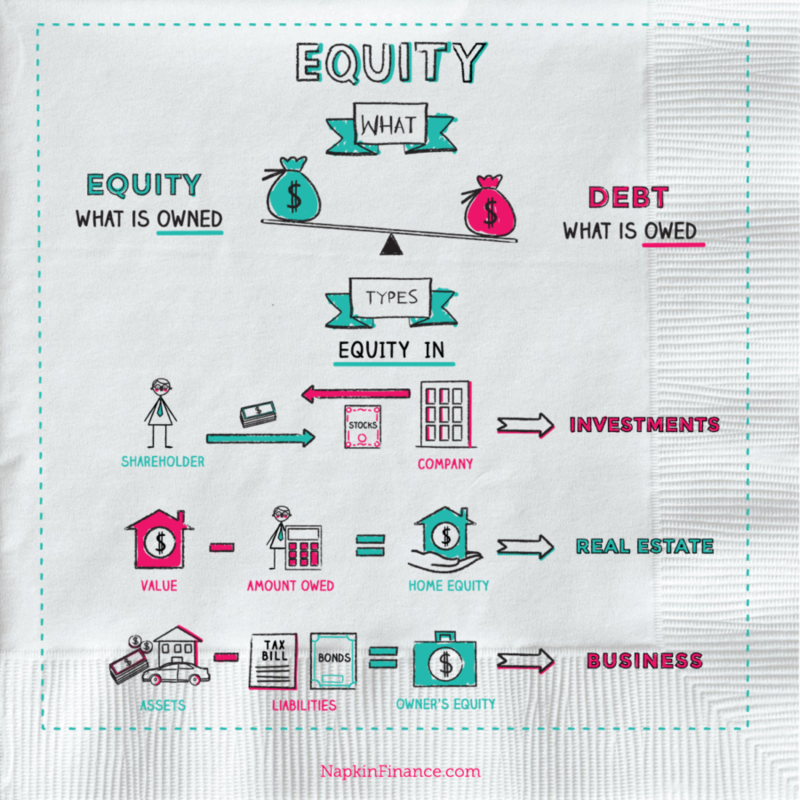 What is An Index Fund? 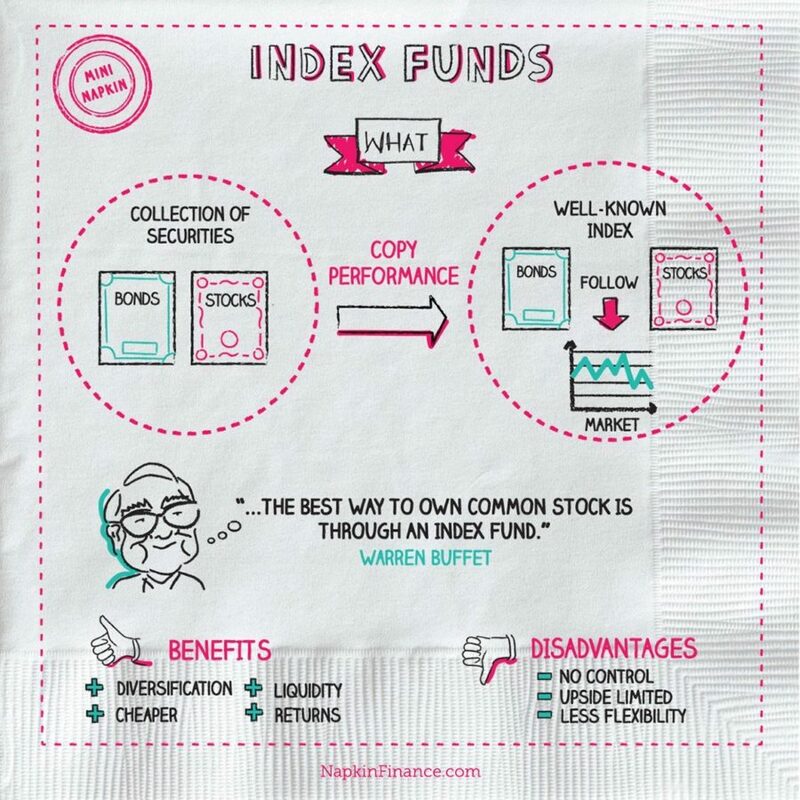 Index Funds Definition | Napkin Finance has your answers! An index fund is collection of securities (e.g., stocks, bonds) that tries to copy the performance of a well-known index (a select assortment of stocks and bonds that follow a certain market). An index is used as a benchmark for a larger market, sector, or industry. An index fund that tracks a given index would include all the same stocks in the same proportions as the index itself. The only time an index fund buys or sells a stock is when that specific security is added or removed from the index itself. For example, the S&P 500 is a collection of stocks from 500 of the biggest U.S. companies. The stocks on the index are selected by a group of analysts and economists at Standard and Poor’s, a credit rating agency, to serve as a reflection of the broader U.S. economy. As the total value of the stocks on the index increases or decreases, the value of the index as a whole mirrors those changes. The value of shares of an index fund that tracks the S&P 500 will go up or down with the value of the index itself. Index funds charge fees that are deducted from the fund’s total value. 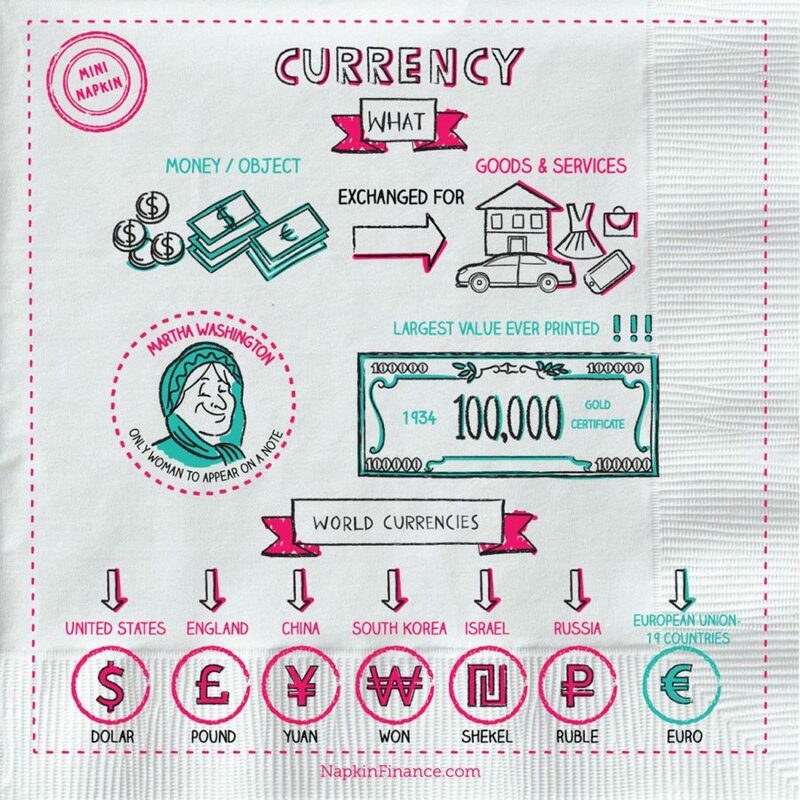 Why invest in an index? Investing in an index is recommended as a way to minimize risk and reduce fees for a passive investor. Because the value of an index fund is based on the values of many different stocks, they are a great way to achieve diversification within a single investment. Index funds are the simplest way to get exposure to the entire stock market or to specific sectors or industries of your choosing. Through mutual funds: you can invest in a mutual fund directly through the mutual fund family or your brokerage account. Through ETFs (exchange-traded funds): traded like stocks on the open market; often have lower annual fees than mutual funds. In a retirement account: you can invest in index funds or ETFs in an IRA or 401(k) to defer taxation on your earnings until you’re in a lower tax bracket. Calculator: How long to double your money? Diversification—Index funds offer broad exposure to different securities and are less volatile than individual securities. Price—It is cheaper to buy and sell shares of an index fund than to buy/sell a basket of shares equal to the holdings of an index. Liquidity—Buying and selling shares of an indexed ETF can be faster and more convenient than buying and selling the underlying shares. Mutual funds are typically more difficult to trade and carry bigger fees. Returns—Studies have shown that the average mutual fund fails to beat broad indices. Index funds are a good way to optimize returns. No control—You cannot control holdings within the index portfolio. Upside limited—Less risk but also limited rewards since your investment is spread out among the many stocks within the index. Even if one of them performs exceptionally well, others may lose value and average out your gains. Less flexibility—Investment decisions are controlled by the indices. Most indices are rebalanced every quarter. If an index includes the largest 100 companies in a market, some companies will fall out of an index and be replaced by new companies every three months. Despite being regularly discussed on the evening news, the Dow Jones Industrial Average (DJIA) is not actually a common benchmark for index funds because it includes just 30 companies. The S&P 500 is used far more often. The S&P 500 posted its biggest ever increase in 1954, with a whopping 45.02% gain. Its worst year was much more recent when it posted a -38.49% drop in 2008.